In 2017, 173 UK companies were acquired by foreign entities for a total value of £60.1 billion. Although not all of the companies would have had shareholdings, it certainly highlights the fact that millions of UK residents have the potential to become foreign shareholders. Most commonly, US entities acquire UK companies, and shareholders are sometimes unaware that they now own US stock. If an individual passes away with US assets, it can be an extremely complicated process to administer the foreign shares as part of the estate administration process. Although the UK and US both speak the same language, the Share Registrars in each country have very different rules and processes. 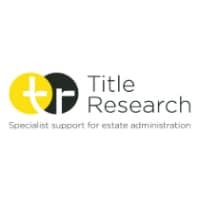 Title Research’s latest blog post explores the pitfalls of dealing with US shareholdings and shares how you can avoid them. As asset repatriation specialists, Title Research often encounter Solicitors who are unaware of the implications of dealing with US shares or those who are struggling to navigate the red tape of US Share Registrars. Read our latest blog to get advice straight from the experts who deal with US Share Registrars on a regular basis. We also share two examples of how we’ve helped our Solicitor clients administer US stock.